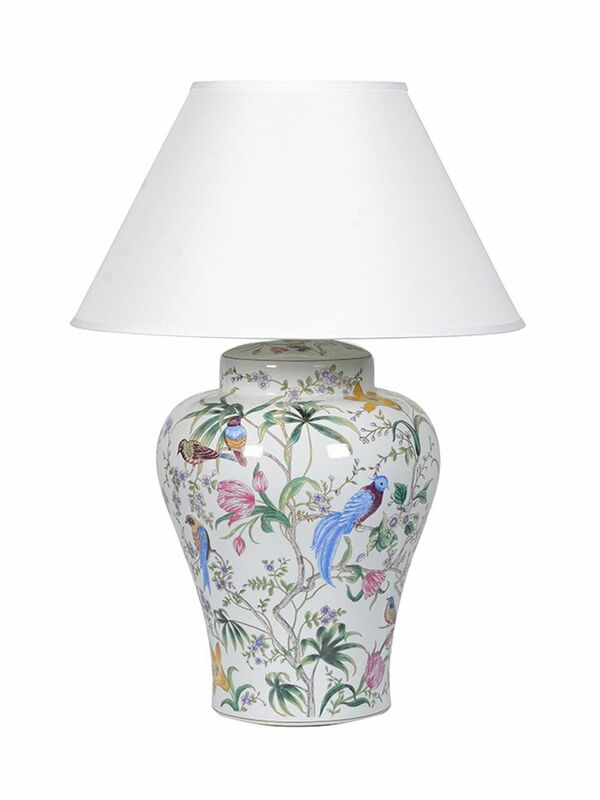 Let there be light with our bright and beautiful Sabia Table Lamp. Its magnificent size makes this a real statement piece to enhance your home and fill it with the serene radiance of lamplight. 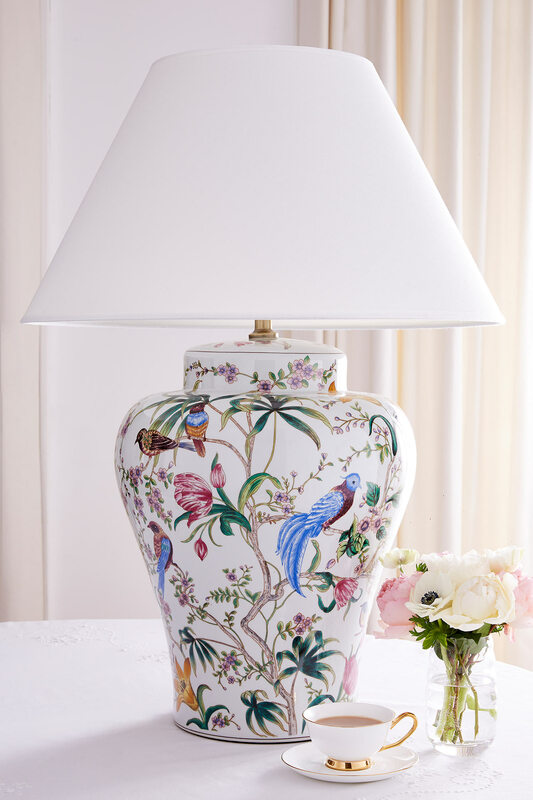 The shapely porcelain base is adorned with stunning illustrations of exotic birds perched amongst glorious flowers, and topped with a large, crisp white shade that gives this extraordinary lamp its classic beauty.